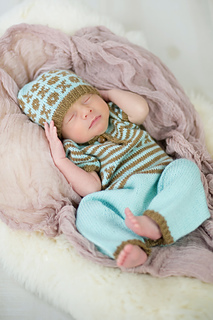 This hat is part of the New Guy layette collection from Tot Toppers. 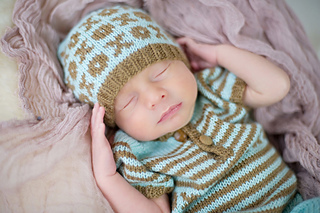 New Guy is available as a booklet or an e-book and now as a single pattern. Keep baby covered head to toe in love by adding this matching cap to the Kiss Me Romper and Welcome Mocs to make a completely adorable set. 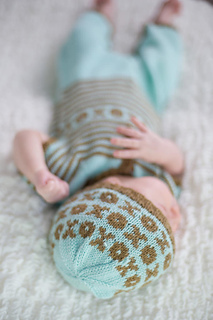 • If you’re working this hat for a summer baby, consider working the XO Pattern just once to keep it ligher weight. • If this is your first stranded colorwork project, check out the tips on page 31 before you start your project. • Shown in Preemie.